Parish News was a feature that ran on the website from 2009-2011. Here are some of the highlights. Nigel and Rose Stokes, Kettering Street Pastors from St Edward’s Parish, went out on the streets in the town centre for the first time on Saturday 16 July. The Street Pastors are a listening ear, helping people find a way to get home safely, serving people on the streets by sweeping up glass, giving out flip flops, water or blankets in the winter. They have completed training sessions on education to first aid, alcohol awareness to listening skills. The Street Pastors will be out every Saturday night in the town centre throughout the year. Prayer support is vital for the success of this initiative. Please pray for the Street Pastors. Many thanks to Pam Smyth for leading the Flower Group at St Edward’s for 17 years. 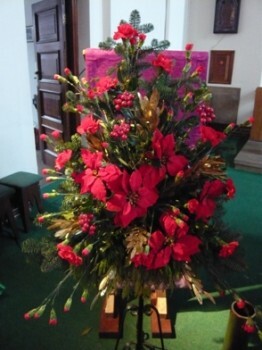 Our appreciation of the beautiful flowers in the church are the best thanks of all! Pam is now stepping down. 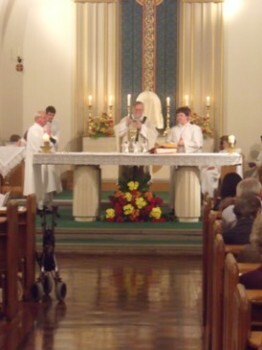 On 22 September 2010, a special mass was held at St Edward’s Parish Kettering to celebrate the 40th anniversary of ordination of Canon John Koenig. 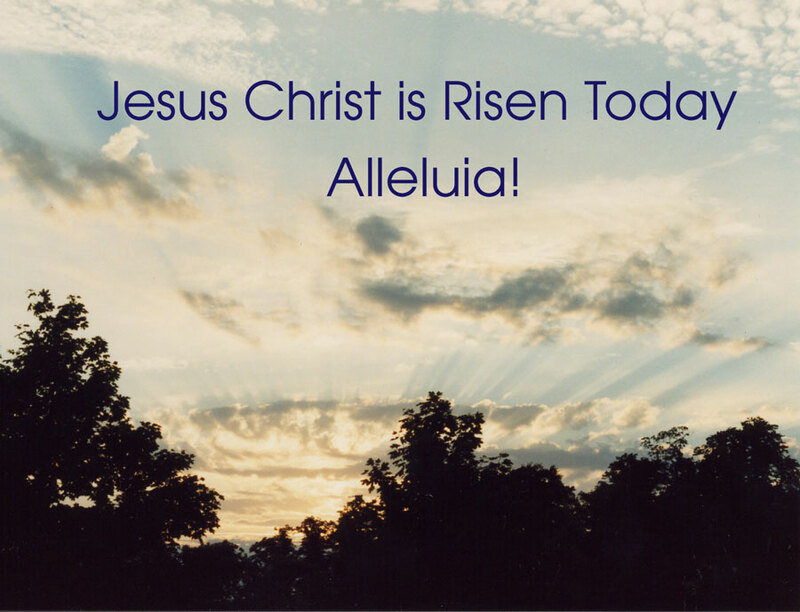 The church was filled with parishioners and parish priests followed by a reception in the church hall. Canon John has been at St Edward’s Parish for 16 years. 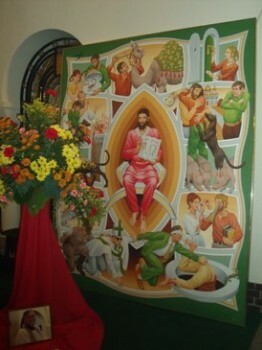 Painting by Peter Koenig given to Canon John Koenig to celebrate the 40th anniversary of his ordination. 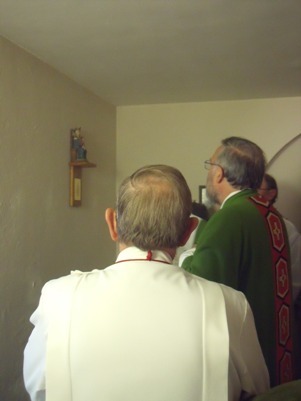 The St Edward’s Parish in Kettering celebrated the Feast of Corpus Christi with an annual procession in honour of the Blessed Sacrament on Sunday afternoon, 6 June. 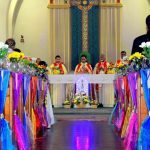 Canon John Koenig organised the procession, with the Parish groups and the four parish churches represented with over 140 parishioners. They carried their banners proudly as they sang processional hymns from St. Edward’s Church to St Thomas More Primary School. 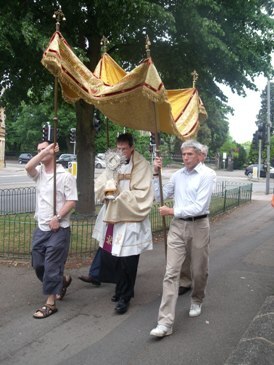 The Blessed Sacrament was carefully carried by Father Andy Richardson under the canopy. The Procession concluded with Benediction at the St Thomas More Primary School. 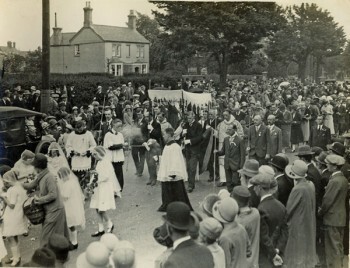 According the Parish archives, the procession at St Edward’s Parish dates back to 1918. At one time, the procession attracted a large number of parishioners. In 1927 over 5,000 people, up to 6 deep, lined the route of the procession which included children carrying baskets of flowers and strewing them on the road before the Blessed Sacrament. 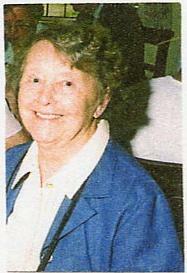 Anne Randell remembers being taught by Mrs Kilpack, how to strew rose petals in the 1940s. Sister Mary Bernadette was a great support to anyone in need. Although gentle in heart, she always spoke the truth. Her deep sense of the goodness of God brought her through everything. We are eternally grateful for having shared our lives with her and her life with us. On Sunday 27 September 2009 members of the Langley family joined the 10.30am Mass at St Edward’s to attend the dedication of a statue of Our Lady of Walsingham. This was the closest Sunday to the Feast of Our Lady of Walsingham (24 September). 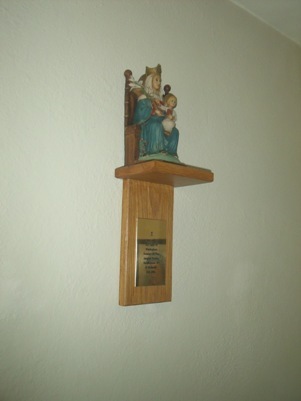 The Langley family kindly donated the statue in memory of the family’s time in the Kettering Parish. Canon John remarked on how lovely it was to have the statue in the church and thanked the Langley family. From 1913 until 2004 the Langleys were very much part of St Edward’s parish and its activities in many practical ways. Family members were in the Knights of St Columba, or the SVP, in running the repository stall, or chauffeuring priests around the parish. 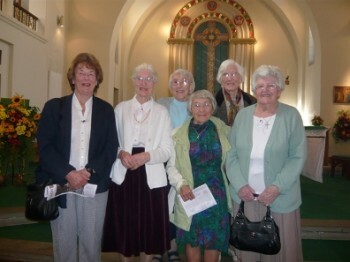 They also raised considerable sums to help with the present St Edward’s church, opened in 1940. Find out more about the memoirs of the Langley family in the Parish Archive. U.C.M member Maureen Kearns and her husband Austin enjoying a cream tea. The U.C.M Garden Party was a fantastic success. All enjoyed fine weather over delicious cream teas on Thursday 11 June. 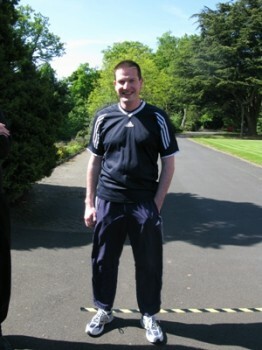 A total of £433.64 was raised on the day. Thank you to all who supported the event. Funds raised for the Kettering and Corby Districts Sick Pilgrims Trust will go towards the pilgrimage to Lourdes in August 2009. They are a small registered charity based in Corby and Kettering taking people who are sick or who have disabilities to Lourdes in France each year aboard the Across jumbo ambulance.